Education is the base of life. 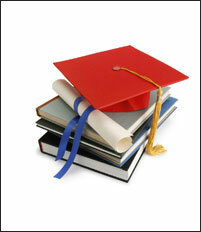 Education helps a person and offers him ample opportunities to confer shape to his or her life. Astrological guidance helps parents to select the right subject for their children right from the beginning. Some students are also seen quite confused about selection of the subject they want to study. They themselves do not know which way to go. Here astrology comes as a helping hand. Planets in the natal chart of an individual can indicate the type of education and profession that could suit one the best. The problem is that people tend to spend very high amount in education without consulting a good astrologer and then they repent on their decision to choose a wrong field for their child. 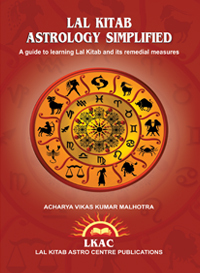 I strongly advise parents to consult a good astrologer and it would definitely result in improvement of studies through simple Vedic and Lal Kitab remedies and would also be crucial in choosing the right area of education for the child. • What is the good area in which education should be taken? • How to initiate improvement in studies? • Would your education prove to be useful for you in future? • Do I have the possibility of getting foreign education? results even after studying hard? It is exam time and every student is preparing hard for it. Competition is tough and each and every student has the pressure to perform well. In this post, I am sharing some powerful Saraswati Mantras, which should be regularly chanted by the students to achieve success in examinations. Please note that there is no shortcut to success. So I would suggest students that give your whole hearted efforts to your studies and chant these mantras. They will help you in getting blessings of Maa Saraswati who is revered as the epitome of knowledge, foundation and origin of knowledge, wisdom, art and music. 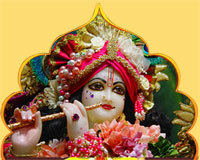 It is said that one who worships Her with pure devotions and sincerity is blessed with heightened knowledge and wisdom. Beej Mantra – Beej Mantra is chanted as an offering or salutations to Maa Saraswati. Mantra to improve concentration and memory – This mantra can be chanted by students who always struggle to score good marks in their exams. This mantra would improve concentration power and memory in students. Mantra for getting good marks in exams – This mantra can be chanted by those students who want to excel in their exams. First of all recite Beej Mantra followed by chanting of respective mantra for specific purpose listed above. Chant above mantras for at least 108 times using Sphatik/Crystal or Rudraksha mala. If the mala is energized, it would increase the effectiveness of mantra chanting. Mix Roli, Sugar and Rose petals in a Copper container and offer it to Lord Sun on a Sunday and also donate some red article on this day. Also offer two matchboxes and have salt less food on Sunday. On a Thursday, before sunset have five different sweets in a bowl and offer these sweets along with green cardamom (2 pieces) on a Peepal (also known as Bo tree) tree. Do continuously for three Thursdays. If you think that your child is not able to concentrate on his or her studies or his or her mind continue to wander here and there, then have green color curtains in the study room and ask him to pray to Maa Saraswati and recite Maa Saraswati Beej Mantra 21 times. The child could wear a small piece of copper in a silver chain. It should be noted that the piece of copper should have a square shape. It will help your child in memorizing important concepts and will also improve concentration. Child can take one teaspoon of juice of basil (tulsi plant) leaves mixed with honey in the morning after breakfast. It will help in improving memory. Sometimes it is seen that there is some affliction on planet Mercury which results in interruption in studies. For this purpose, on any Wednesday, wrap some Green Moong Sabut seeds, few blades of green grass and few Green cardamoms in a green cloth and offer it to any Ganesha Temple. Before giving it in temple ask your child to touch it for five to ten minutes and pray to Lord Ganesha to remove all obstructions in his or her studies. In kids room, the bed should be placed in the southwest corner. Place the bed in such a way that your child has his/ her head facing the east or south direction, while sleeping. It is recommended to avoid placing the mirror on the opposite side of the bed. If you want to keep furniture items in a children’s room, keep them a few inches away from the wall. You should not attach the furniture to the wall, as it obstructs the flow of positive energy. Children study desk should be placed in a manner that child faces east/north or northeast corner while studying. The best direction for study is east. Avoid sharp edges and pointing nooks in children’s room. Keep the center of kids room empty. Almirah and Cabinets should be located in South or West direction of room. You must have energized Saraswati Rudraksha Pendant for your child. It will help your child in gaining success in his or her studies and would also enhance his or her interest in studies. Grasping power of the child would also increase. The best color for kids room is green and the use of this color also gives positive energy of Mercury.